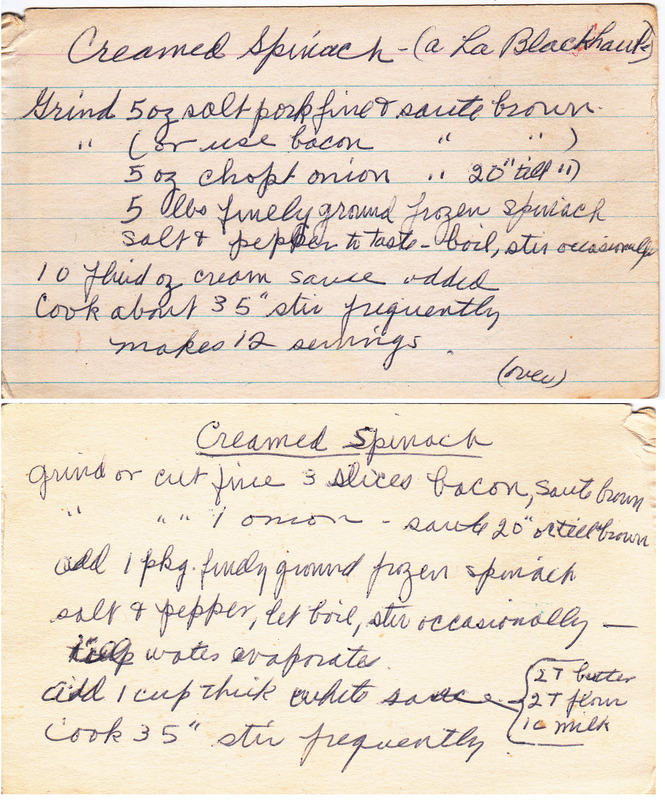 Apparently even Great-Great-Grandma Ursie couldn’t decide which creamed spinach recipe she liked best — these two recipes were on either side of the same note card, but I did a little research, and this recipe originated as a copycat for some famous creamed spinach from a restaurant in Chicago called Blackhawk that was open from 1912-1984. I don’t think anyone knows for sure exactly how Blackhawk made their spinach so amazing, but every version I’ve found out there on the ‘net has one thing in common: bacon! Lots of bacon. And onions. And a load of cream sauce. Add 2 10oz packages of frozen spinach, and cook until the water is evaporated. 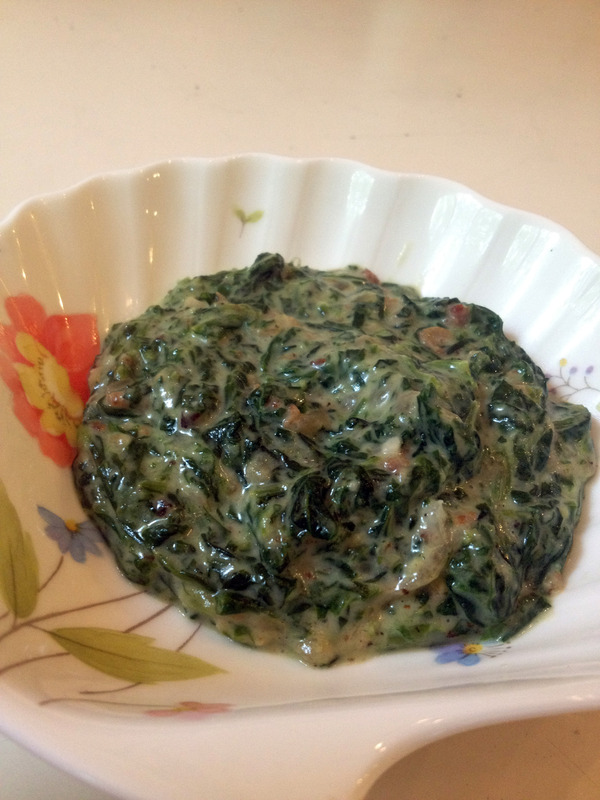 Once the water is evaporated from the spinach/bacon/onion mixture, stir in the white sauce. It’ll take about 30 seconds to combine. It’s really, really good. It’s an awesome side dish for just about anything, but I imagine it might take its rightful place on our Thanksgiving table next year.